March brings another round of Mom-Owned Law Firm Profiles where we celebrate mom lawyers who have chosen to own, not loan their talent. Today, we feature Rachael Ardanuy, owner of RZA Legal in Denver, Colorado. Ardanuy’s firm was in operation for 2.5 years focused exclusively on contract work, but last month, the firm now serves its own clients full-time Ardanuy practices in the cutting edge area of marijuana business law as well as estate planning. Please enjoy this profile, and view past profiles here. Money Quote: I work in a very small niche so I think it has helped achieve greater professional success since I’m promoting me and my brand. How long has your firm been in operation? 2.5 years doing contract work only, went fully solo this month! Summarize your work experience, if any, prior to opening your firm. .Both as a lawyer or prior to becoming a lawyer. Managed a corporate steakhouse following college, worked in 2 small firms before this. 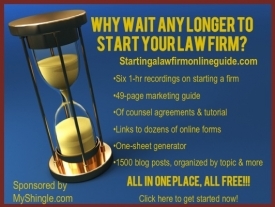 Why did you decide to start your own law firm? To have the flexibility to explore the new state I moved to and have time to spend with my daughter. Has becoming a mom influenced your decision to start or continue to operate your own law firm? If so, how? Absolutely. Although I am not equipped to be a stay at home mom, I don’t want to miss out on seeing my girl grow up so I need to be able to strike a balance with paying the bills and having family time. What is your marital status? Just celebrated my 6th wedding anniversary yesterday. If you are married, what role has your spouse played with respect to your practice and mutual family obligations and conversely, what impact has owning your firm had on your marriage and role as a mom? My husband is very supportive of my decision to found my firm. He works Sunday through Wednesday each week. We have our daughter in daycare Monday through Wednesday, and he has her Thursdays and Fridays. It’s helped a lot since daycare is so expensive. What are the pros and cons of law firm ownership as a mom with respect to attaining work-life balance? I have more flexibility now, but I also have more work I can’t bill for (administrative) I am implementing systems to minimize the admin work and lower overhead to achieve a revenue level that can support us and grow that revenue. What are the pros and cons of law firm ownership from a professional standpoint? I work in a very small niche so I think it has helped achieve greater professional success since I’m promoting me and my brand. How open are you with colleagues and clients about your family? Do you tell them about your kids? Do you ever use child-related activities as an excuse for changing your schedule, and if so, are you open in sharing those reasons? I am very open about it, as many of my clients have been with me before, during and after my pregnancy. I think I have the best and most understanding clients in this regard! As a mother who owns a law firm, have you ever encountered discrimination from colleagues or judges or been taken less seriously or treated with less respect? How did you respond? Not yet. Would you recommend to other women lawyers who have children to consider starting a law firm – and what advice would you give them? Yes, you can do it! I was previously making 1/3 of my billable rate working for someone else. Now I can either work 1/3 as I did previously and make the same amount, or work the same and earn 3x! Completely worth it to me. If you can, share the name of (or if possible recipe for) one of your family’s most reliable, easy go-to recipes: Chicken thighs+salsa+crock pot. Delicious and easy for soft tacos! Rachael Ardanuy is the owner of the firm Rachael Z. Ardanuy, Attorney at Law, P.C. and can also be found on Facebook, NORML and Avvo. See more Mom Owned Law Profiles.